Houses are a big monetary decision. 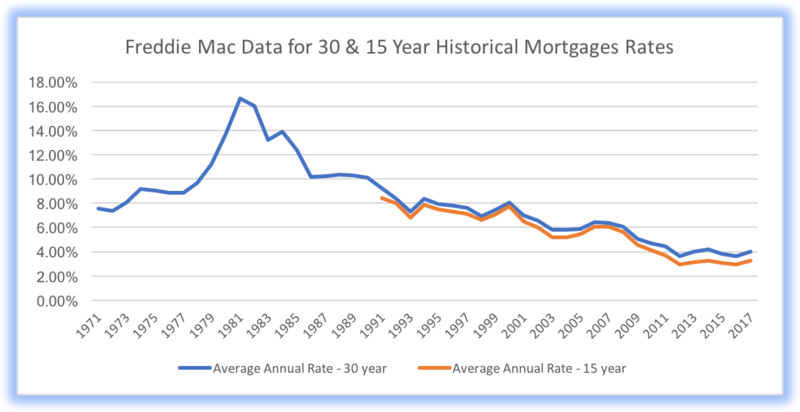 Knowing how good we have it now compared to historical mortgage rates promotes a healthy home buying perspective. With the conflicting reports on the rise of mortgage rates I decided to ask an expert and share these answers with you. I went directly to Pete Green, Branch Manager, Atlantic Bay Mortgage NMLS 173121, and asked Pete to help my readers wade through the myths and facts about what’s happening with 15 and 30-year mortgage rates. Here’s what Pete had to say when I asked him what prospective home buyers in Delaware should know about the rates. You may have heard or read from financial news agencies how mortgage rates are on the rise and these rates are at their worst. Friends may say their mortgage rates 10 years ago were better than they are now and it’s better to rent until the market calms down. The facts are neither of these statements are accurate. Let’s dive into the history of rates to get a better perspective on what is really going on with rates. 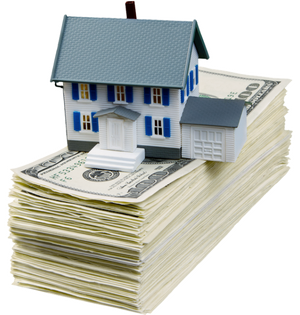 Freddie Mac has recorded both 30- and 15-year mortgages for several years. For 30-year mortgages, the data goes back to 1971 whereas 15-year mortgages started in 1991. This chart shows the volatility of rates from 1971 through the credit crisis in 2008 and brings us current to today. For 30-year mortgages, the highest recorded annual average happened in 1981 at 16.63%. For 15-year mortgages, the worst year was actually the year they started recording the data—1991 at 8.39%. The best rates we have seen for 30-year mortgages took place following the 2008 credit crisis. This was a result of the Federal Reserve’s quantitative easing policy to hold mortgage rates down. Here, we see a healthy dive towards the rates we have been seeing for the past 5 years, the lowest coming in at 3.65% before the 2016 presidential election. The 15-year mortgages also saw the same decrease all the way down to 2.93%—happening in 2012 and 2016. Now that we know the history, let’s look at the facts. Are rates the worst they’ve been in quite some time? No! In 1981 we saw the highest rates in history and to give you more perspective, today’s average 30-year rate hovers around 4.625%. Comparatively, a 72% decrease in rate cost from 1981 to 2018. Were the rates better for people that last bought homes 10 years ago? Again, no. In 2008, the average annual rate for 30-year mortgages was 6.03% which hasn’t been seen in the industry since 2008. 15-year rates were in the same boat at 5.62% in 2008, which in comparison to today’s average of 4.25%, is a great deal of difference. Now you may be saying, “Yeah okay 10 years ago was higher, but what about the past 5 years?” The truth is, yes, rates were lower starting in 2012 and they steadily decreased until 2016, but let’s dig into some quick math. In 2012, the mortgage rate average for a 30-year mortgage was 3.66%. Today’s average rate is 4.625%. The difference is just under 1% in 5 years. In mortgage monthly payment perspective (principal and interest only), this is essentially a $150/per month difference on a $250,000 mortgage. To go one step further, the monthly difference in mortgages of the same price from 2007 to 2012 averaged an increase of $400/ per month. Though rates have risen this year and in the past 5 years, the average degree of change has not increased more than 1% overall in 5 years. Yes, rates are higher and monthly payments have gone up, but only modestly, especially in comparison to every other year in history. Given where rates are now and even though they may be headed toward 5%, we are all still borrowing at the second-best rate period in history. The mortgage industry has come a long way from 1981, and frankly, any rate below 5% is still an amazing deal. If you are looking to make the move to Delaware while the rates are relatively low, call or email us today. Or you can Request one of our FREE Relocation Guides HERE for a comprehensive resource to help you learn more about the Delaware region and find a place you can call home.